The Punisher showrunner Steven Lightfoot would love to bring Blade back in a TV series. 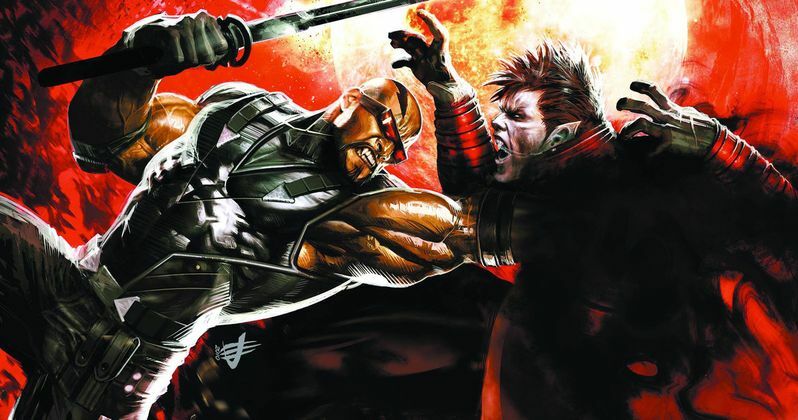 There has been talk going on for quite some time now of a possible return, in some way, shape or form, for Marvel's resident vampire hunter. While much of what Marvel Studios has planned for the future remains a mystery, if they decided they want to bring the Nightstalker to the small screen, they have a solid candidate for the gig. Steven Lightfoot has been making the press rounds in honor of The Punisher season 2 recently dropping on Netflix. In all likelihood, this will be the end of the series and one of the final nails in the coffin for the streaming service's corner of the Marvel universe. During a recent interview, Lightfoot spoke about his love for Blade and his desire to see the character brought to life on a TV series. Here's what Lightfoot had to say about it. "I think, again, this is just me, I have zero idea where any of these things are, but I'm a big Blade fan. I would always be excited to see that one done for TV, I think you could do an amazing television version of that." Last year, Netflix promptly canceled Iron Fist, Luke Cage and, most surprisingly of all, Daredevil shortly after their latest seasons debuted. As such, it's highly expected that The Punisher, which recently arrived, will meet a similar fate, as will Jessica Jones, which still has a third season set to arrive sometime this year. With that in mind, the future of Marvel, on Netflix at least, is up in the air and it's unlikely we'll see any new shows based on these characters heading there in the future. That said, Disney is gearing up to launch Disney+, their own streaming service, later this year and they already have plans for several Marvel shows, much more tied into the Marvel Cinematic Universe, centered on characters like Loki, Vision and Scarlet Witch, and Falcon and Winter Soldier. Is there any reason to think that a Blade TV series couldn't also be given the go-ahead over on Disney+? They would perhaps have to tone down the violence a bit, but it's conceivable. And Marvel Studios President Kevin Feige has indicated in the past that they want to use the character. Just last year, Wesley Snipes, who portrayed Blade in the trilogy of live-action movies released between 1998 and 2004, revealed that two different projects centered on the character are in the works. Whether or not either of those is intended for the small screen, or if they will ever actually be given the green light, remains to be seen. In any event, it seems inevitable that Blade will be back at some point. If that happens to be for a TV series, Steven Lightfoot would be happy to take the call. This news was first reported by Comicbook.com. Blade to Be Introduced in Agents of S.H.I.E.L.D. Season 5?